Second Hard Drive (or SSD) Caddy Adapter for the Lenovo Thinkpad Ultrabay (for Ultrabay's with a height of 9.5mm). If you have a Lenovo ThinkPad with a 12.5mm Ultrabay, please click here. 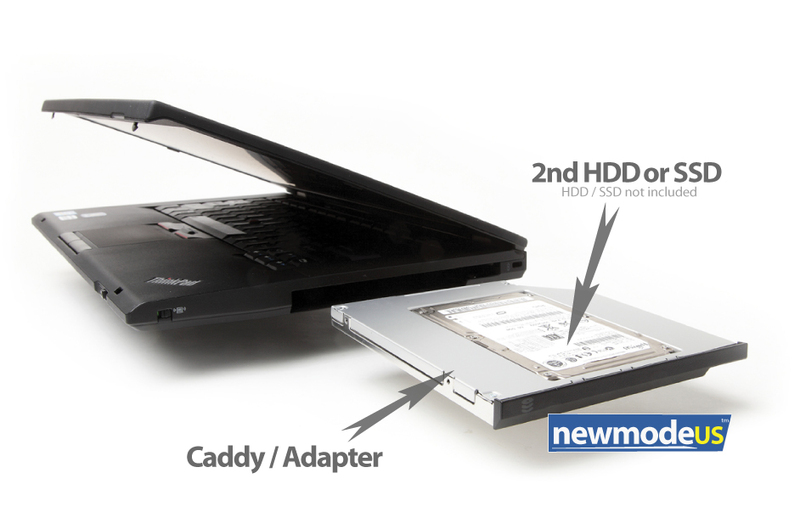 Add a Second Hard Drive to your laptop using your laptop's optical drive bay. 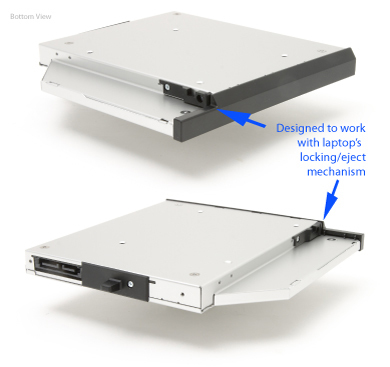 This is a great solution for those that want to add a 2nd HDD or SSD to their Thinkpad. 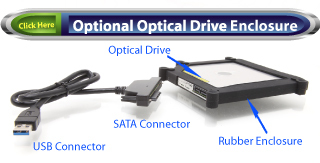 Simply eject your CD/DVD drive and replace it with our Optical Bay Hard Drive caddy. Works with the locking mechanism/eject mechanism on the laptop. This is a really sharp-looking well-engineered product. The front faceplate is finished in black designed to match the laptop. The metal bracket is finished in a nice silver sheen. Compare to 43n3412. 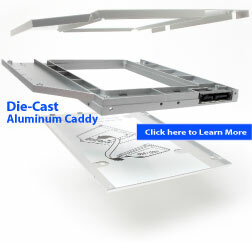 We manufacture this part to meet or exceed OEM specifications. This is not an Lenovo OEM part.